In 2011 has been manufactured sailing boat Mahe 36 called Catberry II. This sailboat is placed in base Marmaris around Marmaris in Turkey. 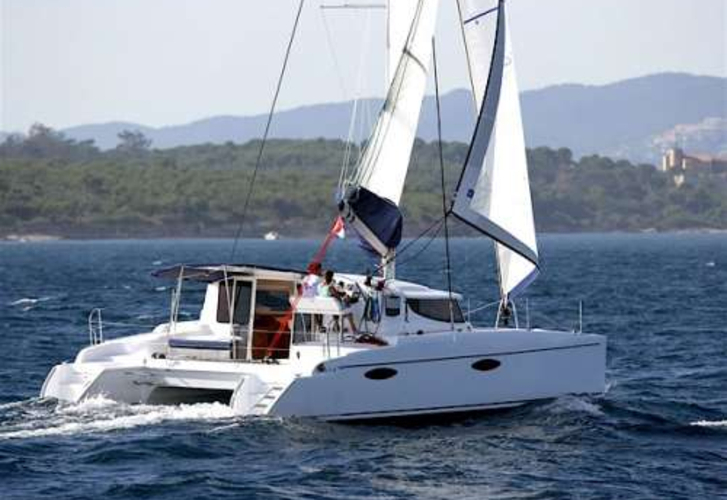 You can board up to 6 pax on the sailboat Catberry II. Layout of sleeping places is 6 (6 + 0 + 0). There are 3 cabins situated under boat's deck. Catberry II is equipped with 1 heads with showers. 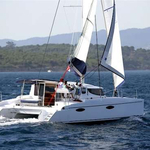 Look for more search results by clicking on this link: Catamarans Marmaris. Tank for fuel is 200.00 l liters big , water tank has up to 530.00 l l. In this yacht is installed engine 2 x 20HP. With 11.00 meters of lenght and 5.90 m of beam Catberry II offers enough space for comfortable sailing. Mahe 36 Catberry II is equipped with: Dinghy, Anchor electric windlass, Bimini top, Inverter 12v-220v, Mobile phone (netted), Autopilot, Gps plotter, Gps, Radio cd mp3, Classic mainsail. . Nonrefundable caution is at the level of 1500.00 EUR. 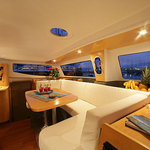 You can search other yachts in this site: Catamarans Marmaris.